There are love stories that exist that make your heart swoon. Maggie and Aaron’s is just this sort – and this wedding suite completely shows it. The color palette of soft white, magnolia green and black set the perfect tone of elegance for this winter holiday celebration. 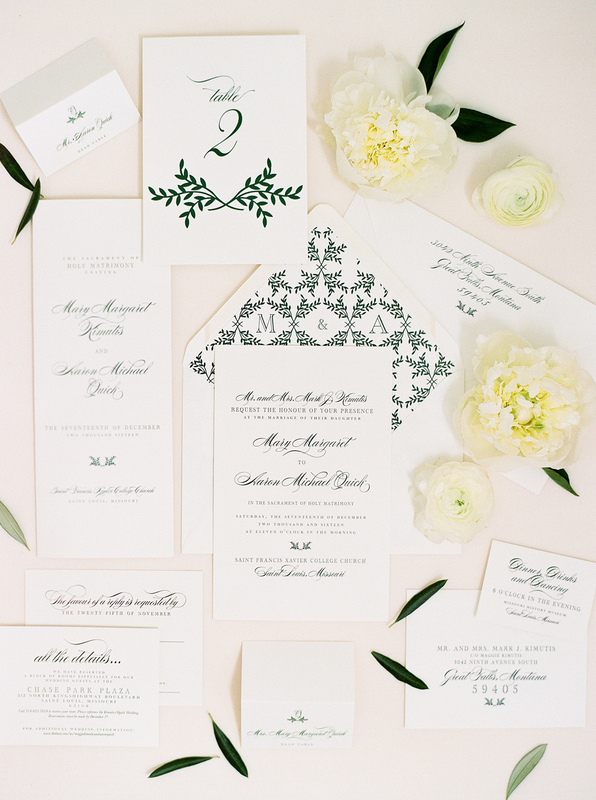 A custom envelope liner featuring the boxwood design and monogram, not only set the tone for this couple’s nuptials, but was carried throughout all elements of the suite and their day-of paper. 100% swoon-worthy!